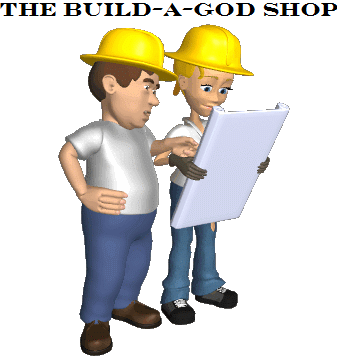 As I begin this piece here at Apprising Ministries I develop further an analogy I heard originally from Chris Rosebrough; The Build-A-God Shop, a venue where you can come in and share the characteristics of the god of your choosing. Then after you place your order, people scurry down to the basement of the store and get to work cobbling together your version of god to fit your specific set of speculations. So it is right now with those furiously building a version of the mush god of mysticism with a man-shaped hole in his/her/its heart; as typified by the Emerging Church 2.0 with their new postmodern form of “big tent” Progressive Christianity—a Liberalism 2.0—sometimes referred to by these rebels against the final authority of God’s Word as Emergence Christianity. I’ve told you before that this is what Living Spiritual Teacher and Emergent Church guru Brian McLaren, one of the unholy Emergent Church trinity of apostates along with universalist Emerging Church pastor Doug Pagitt, and his friend Tony Jones—the progressive “theologian in residence” at Pagitt’s Emergent Solomon’s Porch—began laying out more systematically in his book A New Kind of Christianity. You may also remember that CST is now developing “the first interreligious university” to “reach across boundaries” of various religious” traditions. Clayton’s bio also tells us he’s a “panentheist” who “defends a form of process theology that is hypothetical, dialogical and pluralistic.” Well isn’t that special; what it isn’t is Biblical, but that’s of little concern to these emerging architects over at The Build-A-God Shop. 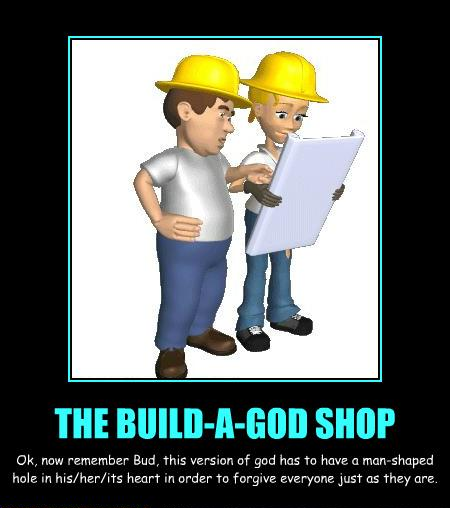 by Philip Clayton who informs us that the “orthodox view of God has become problematic” for him; hence his reason for being at The Build-A-God Shop. According to process thought, you are an unending process of becoming, internally related to all things, one member in a cosmic community of becoming… But now I want to ask: What is the role of God in all of this? God is also an actual occasion (or, some would say, a series of actual occasions). Unlike the rest of us, however, God never forgets and God never passes out of existence. At every moment of your becoming, God prehends your valuations and your most intimate responses. Another time I’ll have more on this heretical process theology which, like its kindred heresy Open Theism, robs God of His sovereignty; for now though, this is some necessary background as you listen to the clips below from Doug Pagitt’s Memorial Day radio program. Like I pointed out in More On—The god Of The Emerging Church we’re dealing with fools who’re recasting God in their own image; i.e. another god enitrely, one with a man-shaped hole in his/her/its heart. Now if you’re tempted to think this kind of Toxic Theology Of Doug Pagitt isn’t slithering closer to your local evangelical church I offer that you should consider Fuller Seminary Promoting Emerging Church Heretic Doug Pagitt and Fuller Theological Seminary Professor Tony Jones And Christian Spirituality Cohort. I also ask you to keep in mind here that, even though Fuller Theological Seminary has become a spiritual cesspool, it still remains quite influential within broader evangelicalism. Persons of faith are called to be global pioneers. Although you may be rooted in a particular religious tradition, you may also find spiritual nurture through the insights and practices of the historical religious traditions, native spiritualities, or the new spiritual movements of our time. You may, for example, attend church on Saturday evening or Sunday morning, and share fully in the ritual of Holy Communion. But, throughout the week, you may practice Zen Buddhist meditation or Transcendental Meditation, receive reiki or acupuncture treatments, or attend a Native American sweat lodge. The challenge for spiritual pilgrims is to find creative ways to integrate the wisdom of their own faith with global spiritual practices. Over the past several years, I have been involved in exploring progressive Jewish and Christian spirituality. Despite a tragic history, progressive Jews and Christians can learn much from each other’s traditions. We look for common ground not only in the affirmation of an active, loving, and personal God but also the celebration of a common history and complementary spiritual practices. I believe that Jews and Christians can deepen their spirituality by sharing each other’s spiritual practices, holy days, and theological insights. God’s truth is larger than any religious tradition. As we share our faith, we do not seek to convert one another, but grow together by sharing a common spiritual adventure. Remember, as I previously pointed out, this is a really, really, big tent so it’s no problem if you want to erect altars to Baal practice Zen Buddhist meditation or make Asherah poles zone out in Transcendental Meditation because “God’s truth is larger than any religious tradition.” In closing this, because of their panentheistic process theology where everything is supposedly already interconnected, now you understand why such as these “do not seek to convert one another, but grow together by sharing a common spiritual adventure.” In their mythology they believe that we’re already all one in God.